While many people play videogames simply for amusement, others are instead dedicated to delving deeper, exploring every nook and cranny to expose hidden secrets. The phenomenon is known as “Easter Egg Hunting” and it has been around since the videogame industry’s infancy, when Atari’s Adventure infamously included the first known Easter egg way back in 1979. Prior to the development of Adventure, Nolan Bushnell, the founder of Atari Inc., left the company after a disagreement with new owners Warner Communications over the future of the business. His departure from the company led to a series of changes at Atari, which resulted in tension between Warner Communications and some of their existing staff. Some of the changes introduced by Ray Kassar included increased security to monitor employees and a newfound indifference to the work of programmers. This antagonized many at Atari, including Warren Robinett, the creator of the videogame Adventure. During development on the game, Robinett’s bosses informed him he wouldn’t be receiving a credit for his work, despite months spent laboring away on Adventure. Anonymity was to become standard practice for game designers at Atari during this period, having been devised by the owners as a method to prevent other companies from stealing their talent. This infuriated many programmers and led to numerous high-profile departures from the company, including the future founders of Activision: David Crane, Larry Kaplan, Jim Levy, Alan Miller and Bob Whitehead. Unsatisfied with this decision, he decided to include a credit within the game he was working on, hidden amongst its map—his way of claiming ownership of the game. Those who were determined enough could discover the credit in the finished title. All they had to do was collect a one-pixel gray dot and bring it to a certain location on the game’s map. This would remove a wall on the far side of the screen, allowing entry to a previously inaccessible area within the game containing vibrant text spelling out his name. Adam Clayton, a fifteen-year old boy from Salt Lake City, was the first person to discover this trick and write about it to Atari. However, before it had been discovered, Warren had already left to work elsewhere. 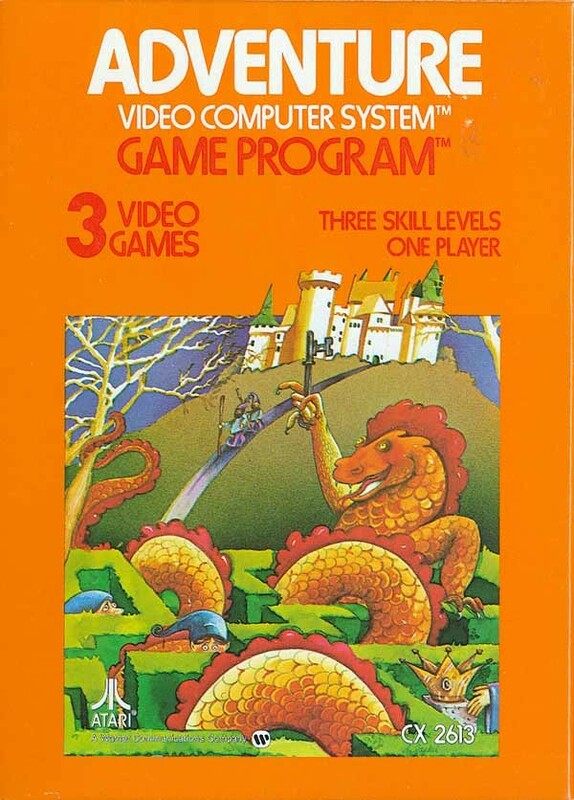 It was at Atari that the secret was first referred to as an Easter egg. Following Clayton’s letter to Atari, Steve Wright made it official game development policy that all Atari games should have Easter eggs in them. Examples that followed mostly comprised of the appearance of developers’ initials. This included the appearance of the letters HSWWSH (Howard Scott Warshaw) in Yar’s Revenge, SAB (Steve A. Baker) in California Games and BS (Brad Stewart) in Fire Fighter. This policy helped to further popularize the phrase. It was also responsible for transforming the inclusion of Easter eggs from a rebellious act into a way of enhancing the experience for the player at home. Today programmers still delight in the practice of burying additional content and objectives for players to discover. Notable examples include the presence of a hidden blueprint room in Arkham Asylum, the ability to play the entirety of Maniac Mansion in Day of Tentacle and an alternative ending in Doom 2 that requires you to kill its creator John Romero. It’s clear from the above that Easter eggs are an amusing and significant part of videogame history. Yet their endurance is surprising, considering Robinett originally didn’t expect anyone to find his secret room. Today there are literally thousands upon thousands of videogame Easter eggs out there in the wild. What are some of your favorites? When not glued to the latest release, Jack Yarwood spends his time writing and talking about videogames online. You can follow what he’s up to on his Twitter and on his blog.